After its core market hit self-destruct, Infosys began looking at high-margin areas and new markets. Just the other day, in April, Infosys had projected its firstever annual sales decline in its 28-year history. Then, in September, the Bangalore-based technology bellwether seemed to be back on track, raising its full year forecast to Rs 21,961-22,055 crore (against its earlier projection of Rs 21,416-21,747 crore), reintroducing salary hikes and opening up a crack in the recruitment gate that it had shut a couple of quarters ago. “Our model has proved to be resolute,” said MD & CEO S. ‘Kris’ Gopalakrishnan. “Clients are making some decisions, especially in mergers and acquisitions.” In its key financial services business alone, Infosys bagged seven new deals, five of which were the outcome of consolidation in the industry. In a sign of improving times, Infosys registered a 7.5 per cent increase in net profit for the second quarter of this fiscal as a slew of cost-cutting initiatives began to pay off and gunshy customers began to make some decisions. Specifically, the company’s staple financial services business began to get to its feet, buoyed by new business resulting from the wave of M&As across the industry. Then, smaller contributors such as retail and energy and utilities showed promise for the firm, even as large customers in manufacturing showed few signs of improvement. Volumes increased by 2.3 per cent overall and 3 per cent offshore and the rates at which the firm bills its customers went up marginally by 0.4 per cent on a reported basis, even though it declined 1.1 per cent on a constant currency basis. Markets and margins are its new mantras. Infosys has also tweaked the kind of business it goes after to try to boost its profitability. It is focussing its efforts on two fronts: One, markets such as systems integration, consulting and enterprise solutions, which offer higher productivity and margins. Two, segments such as (IT) infrastructure management and testing and validation, which provide a greater offshore component and, therefore, better margins. Essentially, an expansion of its consulting business, and an entry into non-BFSI markets such as retail, energy and utilities. To protect its margins—the best in the industry and at least 2-3 per cent higher than its large rivals—Infosys is very selective about the projects it pitches for. According to CFO V. Balakrishnan, the company wins barely 30-35 per cent of the projects it bids for, often passing on an opportunity to work on several large deals because they dilute margins. Meanwhile, all Infosys subsidiaries, barring the one for Mexico and Brazil, turned profitable. The company has nearly $3 billion in the bank and is looking for acquisitions in Europe, which, going by Infosys’ conservative nature, will be valued at no more than 10 per cent of its overall revenue. Unlike its large rivals, TCS and Wipro, Infosys has remained wary of buying companies, making two notable deals, one for Expert in Australia and another to acquire Philips’ captive units in India. However, Infosys officials said the firm has set up a dedicated M&A unit and is now hunting for deals in three directions. It is hunting for acquisitions to extend its geographic reach deeper in Europe, Japan and other non-English speaking countries and to get new technologies such as platform-based BPO firms. Finally, it may buy its way into new industries such as healthcare and government, said S.D. Shibulal, COO, Infosys. “We aspire to have one of the highest margins in the industry,” says Shibulal. In a sign of growing confidence, Infosys also announced that headcount at its Chinese operations had crossed the 1,000-mark and it would soon expand into Brazil, too. Clearly, India’s second-largest software exporter is steering itself slowly to the path of recovery. In the latest quarter, India’s bestknown IT firm hired 1,548 people, against a net reduction of 945 in the first quarter. “Recruitment is closely linked to the business environment and we do see some stability on this front,” T.V. Mohandas Pai, Director (HR), said. Last year, it had hired a total of 13,663 people, compared to 18,946 in 2007-08. 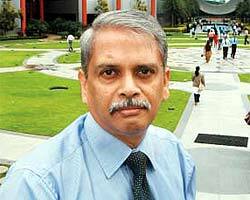 “The velocity of business is slow, there is challenge in pricing and significant movement in currency,” Gopalakrishnan had said then. Utilisation—employees that are billable to customers—has increased to 73 per cent from 70.9 per cent in the preceding quarter, and Infosys also announced pay hikes of 8 per cent for its offshore employees and 2 per cent for onshore Infoscions. “In a good year, we normally give 10-15 per cent hike offshore and this typically will have an impact of 2-3 per cent on our margins,” Balakrishnan said. Since April, Infosys has been recovering lost ground by focussing on high-margin businesses and keeping costs down. It also benefitted from the stronger rupee. Brokerage house Prabhudas Lilladher sees the salary hike, uptick in pricing and lateral hiring as good indicators. “The company reported an EBITDA margin expansion of 47 basis points QoQ to 34.6 per cent due to currency tailwind of 1.5 per cent QoQ on blended basis, 40 basis points increase in offshore-mix and 30 basis points improvement in utilisation,” it noted.